Nearly every kiddo prefers to slip into slumber next to a beloved stuffed animal or doll. With this in mind, Natti Natti has designed a stylish and functional approach to tucking kids in at bedtime. 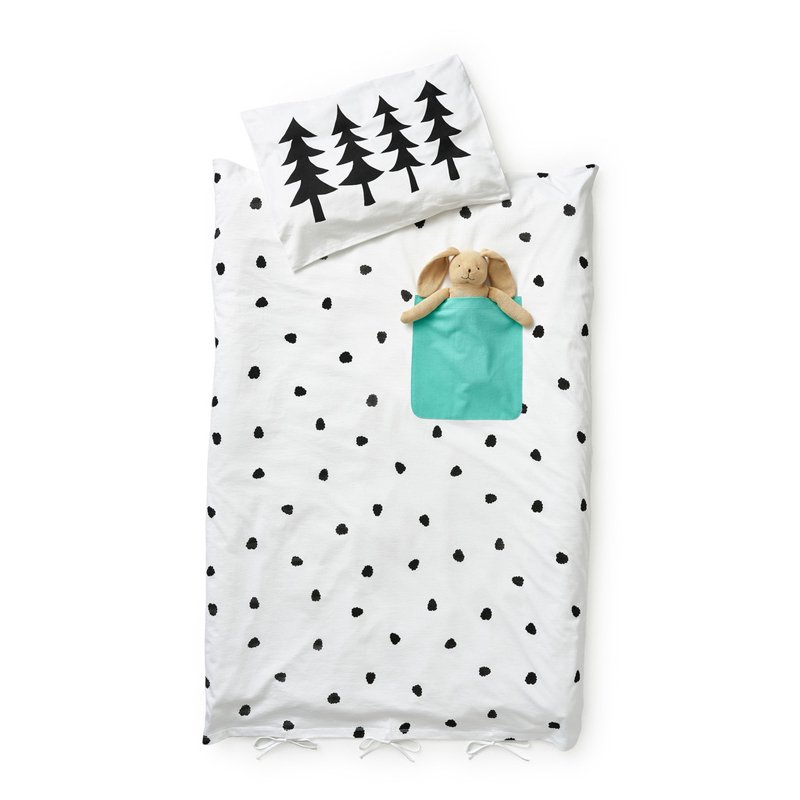 Their Blackberries Pocket Duvet Set comes complete with a handy oversized pocket in a mint, blush or black hue, which acts as a comfy spot for little ones to tuck in and snuggle up next to their favorite cozy toy. Designed and made in Brooklyn from soft organic jersey cotton, and hand screen-printed with eco-friendly ink, the toddler/junior set includes one pillowcase and one duvet cover which ties closed at the bottom with three bows. Now available for pre-order, ships by January 15th.